Attorney. Divorce-Family Law, Adoption Law and Criminal Law. Dayton, Ohio. At the Law Offices of Michael A. Sheets, we are committed to providing our clients with personalized legal services in all family and criminal law matters. Our many years of experience enable us to apprise our clients of their options at every stage of a case. 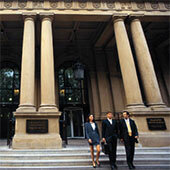 While we are experienced trial lawyers, we make every effort to resolve our cases prior to trial. Should settlement efforts fail, we try our cases zealously and aggressively, but in a professional manner. Handling hundreds of Felony and Misdemeanor cases, we are prepared to protect our clients’ rights in all Juvenile, Municipal and County Courts. We have 15 years of experience in Domestic Violence, DUI, Drug Possession, Internet Crime, Appeals, and all other criminal matters. We have extensive experience in Divorce, Dissolution, Custody, Domestic Violence, Child and Spousal Support, Protection Orders, Juvenile Court cases, and all Contempt of Court matters. Also a part of Family Law practice, we are thoroughly familiar with, and greatly enjoy, assisting clients with their adoptions. We handle contested and uncontested step-parent adoptions, relative adoptions and non-relative adoptions, in Greene, Montgomery, Clark and Miami Counties. We also prepare Wills, Living Wills, Durable Powers of Attorney and handle all Estate matters. Our office is located in Montgomery County. We also serve clients in Greene, Clark, Miami, Warren and Champaign Counties. Please contact us at the above numbers, or feel free to email us with questions at MSheetsLaw@gmail.com. There is NO CHARGE for our initial phone or email consultation.